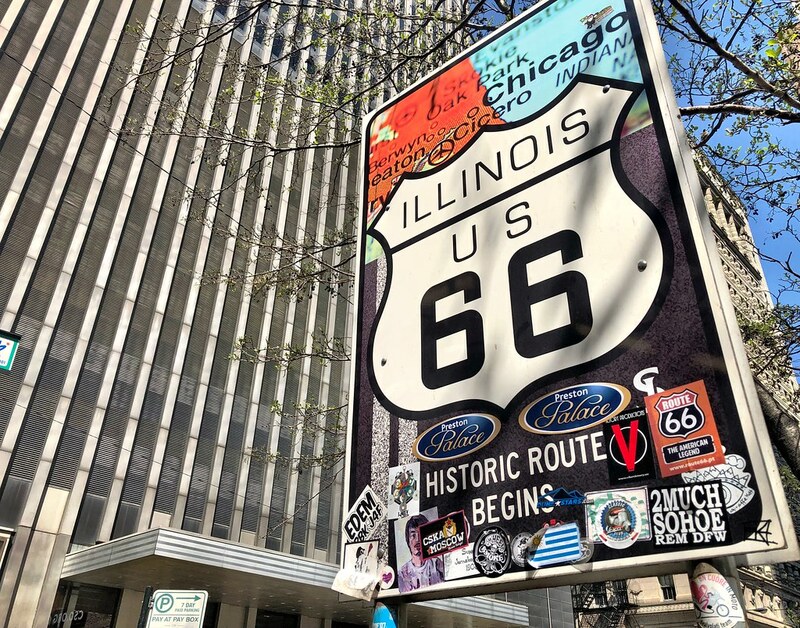 Driving Route 66 from Chicago to Santa Monica was the culmination of many years of dreaming and planning and the journey well exceeded my own lofty expectations. The adventure couldn’t have happened without the partnership of Marriott Americas though whose support enabled me to finally tackle this bucket list drive. Part of that sponsorship involved showcasing the width and breadth of the company by staying with a different brand every night of the trip. Note I said brand and not just hotel. The fact we could do that still amazes me, the company has so many different brands at all price points and during the Route 66 drive we experienced the full range of options. There were no bad hotels along the way, but naturally I clicked with certain brands and hotels more than others, so today I thought I’d share the accommodation highlights of the trip and demonstrate just how easy it is to drive across country while enjoying relaxed hospitality at every step of the way. Although I’ve been patronizing Marriott hotels for many years, I believe that my stay in Chicago was the first time I experienced the Marriott Marquis. Marquis hotels are large, flagship properties that add many special touches to the hotel experience with extra attention paid to style and of course service. The Marriott Marquis Chicago is a new downtown hotel that impressed me right away. The enormous lobby, bustling restaurant and lounge and of course the rooms were all stylish and inviting, making this a fantastic home base for my time in the Windy City. Of special note is their restaurant, Woven + Bound that features tasty and modern cuisine in an eclectic but welcoming space. This remarkable luxury hotel holds a special place in my heart because it was here two years ago where my dream of driving Route 66 was rekindled. The Missouri History Museum had a special exhibition about Route 66 in the state, and a spark was ignited. I started planning then and there and, ultimately, that inspiration led to the drive earlier this year. I visited the museum thanks to how conveniently located The Ritz-Carlton is to it, and have them to thank for the resulting adventure. I stayed with them once again while on the drive, and I was thrilled to see that the same service and comfort hadn’t changed. More than creature comforts and food though, The Ritz-Carlton, St. Louis effuses Midwest charm and kindness that was refreshing to experience. As a classic Type-A Easterner, I forget that not everyone is as sarcastic and surly as we are. I forget that huge swathes of the country are full of nice, good-hearted people who really do care when they ask how your day is going. I loved feeling that way again and for that I am very grateful to The Ritz-Carlton, St. Louis. It all came together in the perfect package of St. Louis-ness and provided me the unique opportunity to unwind in true luxurious comfort. Aloft is one of the many brands now included in the larger Marriott International portfolio following its acquisition of Starwood Hotels. Aloft isn’t your average place to spend the night. They were created to bring a more contemporary look and feel to the hospitality experience, a sort of boutique hotel concept really. 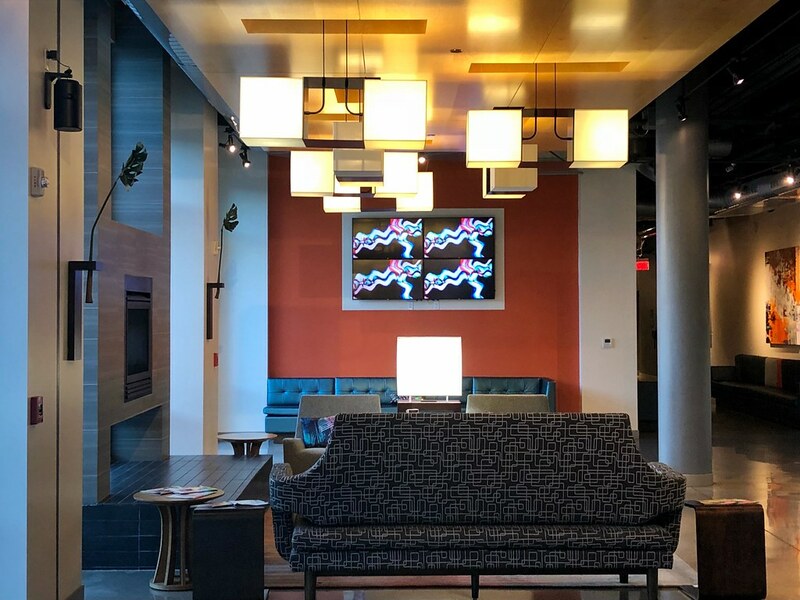 Using very modern architectural design, vibrant colors and quirky decor elements, there’s no way anyone can forget that they’re staying at an Aloft property. In Oklahoma City, the hotel’s location and service made for a much needed evening of decompression and relaxation. I was exhausted after a long day on the road, and the tasty food onsite as well as the kind hospitality made the experience productive as well as fun. I was deeply impressed by my stay at this hotel, not only for the property itself but as a re-introduction to the brand. It had been many years since I last stayed with Courtyard, and the advances and changes they’ve made since then have been incredible. 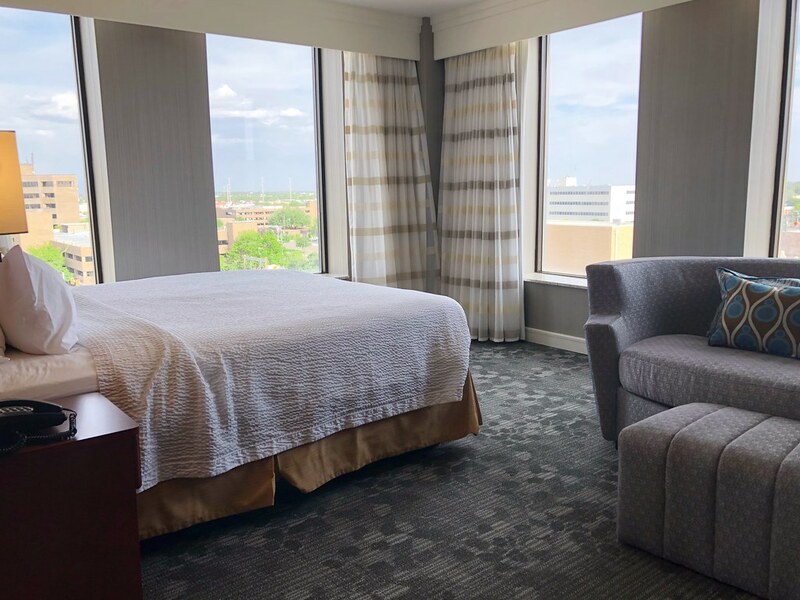 The hotel in Amarillo is particularly notable thanks to a recent renovation as well as its location in a historic building. The Fisk Building in downtown Amarillo was built in 1927 during the city’s oil boom and its unique architecture that so well defines the era has thankfully been well preserved into the 21st century. During the remodel, Courtyard not only retained these art deco elements, but included them in every aspect of the new design, creating a gorgeous and welcoming space that is completely unique. That’s not the Courtyard experience I expected and it deeply impressed me. 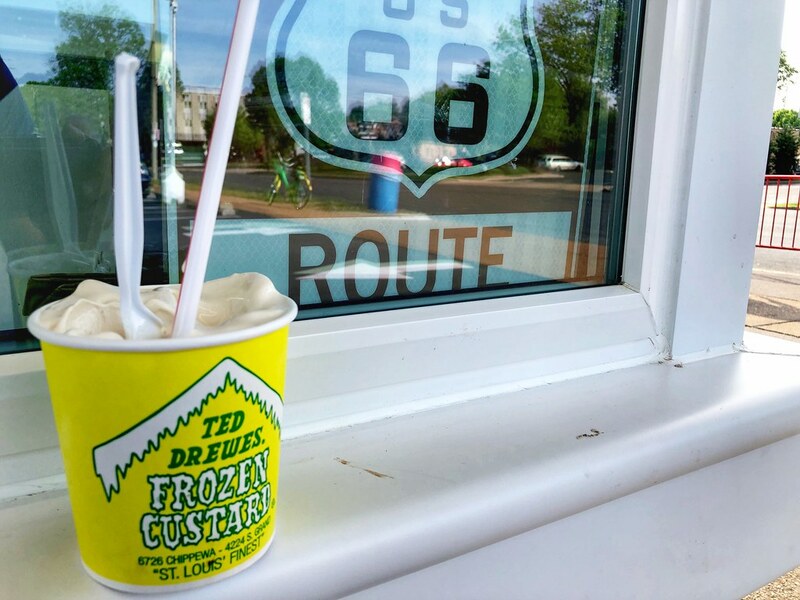 Spending extra time in the idyllic community of Santa Fe was one of the best decisions I made long Route 66, and my time there was just as incredible as I had hoped. Staying at the incomparable La Posada de Santa Fe, the luxury hotel’s service and location in the city made exploration easy and fun. Located on six historically rich acres in downtown Santa Fe, the luxury hotel started life as an 1880s brick mansion, built by prosperous German immigrants to the city. In the 1930s, new owners started the process of converting the entire property to a resort, building adobe casitas and enhancing the services. Over the years this enhancement continued to create the historic but modern, stylish but incredibly comfortable luxury hotel that La Posada is today. La Posada de Santa Fe has everything I look for in any great luxury hotel. Outstanding service, food and style but also an interesting and unique history. This is as far from a cookie cutter experience as you could hope for and since it’s a 2-minute walk from historic Santa Fe, La Posada truly is the ideal place to not only enjoy the best the city has to offer, but to do so in comfort and peace. One aspect I really enjoyed of the Route 66 hotel experience was the opportunity to stay at so many different types of properties at all levels. While I’ll never say no to The Ritz-Carlton, there’s a lot to be said for hotels like SpringHill Suites that feature large rooms with distinct living areas, making the experience seem more civilized. Spending a couple of weeks driving across the country wasn’t easy, and to have a large suite to come home to that actually felt like a home was more important than I could have ever known. In Flagstaff the location of the hotel was ideal, making our two days spent in the city fun and productive. I planned a little extra time there in order to use it as a home base from which to explore the region. Flagstaff is perfect for a day trip to either Sedona or the Grand Canyon, both of which I experienced while in town. This is another new-to-Marriott brand from the merger with Starwood, and one that I have come to know and love over the years. Originally created by Air France in the 1970s, Le Méridien has grown substantially since opening its first hotel in Paris and has changed hands a few times, now resting comfortably with Marriott International. Since I’ve stayed at a number of Le Méridien hotels around the world, I knew what to expect but, as always, the realities of amazing service are always wonderful to experience. Le Méridien Delfina Santa Monica enjoys a terrific location in this idyllic seaside town, and it was also where we ended our trip on Route 66. It was the perfect place for a celebration and along with the hotel’s famous hospitality, they made my experience something I know that I’ll never forget. No matter what type of trip we take, where we spend the night always makes a big difference in our overall enjoyment. Along Route 66, the individual hotels became critical partners in the adventure, offering much needed rest and recovery opportunities as we experienced the best that The Mother Road has to offer.